Forth Valley Creative Learning will work in partnership to support the development of creative learning practice and pedagogy to allow practitioners and partners working with children and young people to explore creativity and creative learning, to share good practice, to have access to up to date information and research to be more informed and to understand the impact creativity and creative learning can have on children and young people within and outwith the classroom. If we can achieve this it will allow us all to offer a richer and creative experience which supports children and young people to be more confident, creative and independent thinkers, enables them to work effectively individually and within a team and feel confident to evaluate their own work and others. We hope it can support creating an education system that prepares pupils for a 21st century world that is changing rapidly through technology, the economy and career prospects. The ultimate aim is to help build children and young people’s confidence, achievements and skills for future life and work. Together we will deliver creative conversations, talks, workshops and professional development alongside key professionals to inspire, challenge and encourage creative learning development. *to support the development of creative learning practice and pedagogy. *further enhance the quality and range of opportunities that enable children and young people to develop creativity, ambition and a sense of wellbeing. *work in partnership with others to support the continued development of skills for learning, life and work and assist schools in developing effective opportunities for children. *to equip children and young people with skills for life, attitudes and expectations necessary to prosper in a changing society. *to encourage creativity and ambition. Go to ‘Creative Conversations’, ‘Other Events and Workshops’ to explore what is happening. Forth Valley Creative Learning events are open to anyone interested in creativity and creative learning i.e. teachers, youth workers, community learning and development staff, creative practitioners, students, lecturers, early years educators, education officers, senior managers, arts officers, parents etc from across the Forth Valley region (unless otherwise specified). 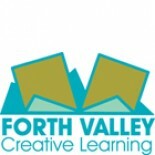 We hope to see you soon at one of the Forth Valley Creative Learning events.